1928-1933, By James G. West. 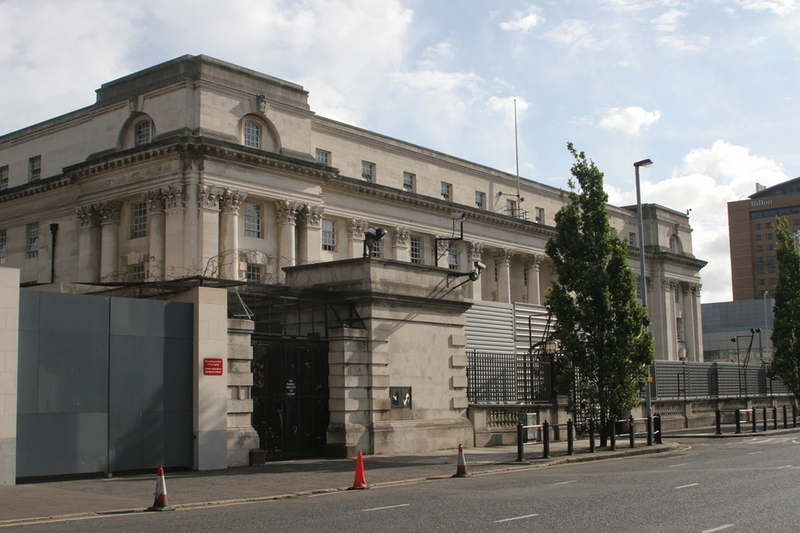 When the State of Northern Ireland was formed in 1922, great attention was paid to the stature of its High Court. The imposing neo-classical style, with its cast iron lanterns, can be compared to that of Stormont.